Yesterday, both IPO Wine and Clo Wine Bar in Manhattan hosted one of Austrian wines newest importers, Circo Wino, and their cast of winemakers. Currently, the Circo Vino portfolio containts six Austrian wine makers and one Hungarian. The importers are, Emmerich Knoll, Fred Loimer’s Schell Mann line (though his estate wines are hosted by Winebow), Peter Malberg, Michael Reinisch, Claus Prelsinger and Franz Reinhard Weninger. 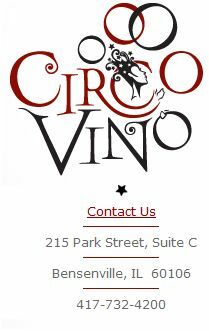 Circo Vino is run by two women who are veterans of the Austrian wine industry having originally worked for Vin Divino imports. It is evident they both have a passion for the industry and the winemakers they represent. Monday marked their first portfolio tasting in Chicago. Each wine in the portfolio was hand selected to represent some of the best Austria has to offer. National distribution varies by distributor, but if you can find ’em, they’re definitely worth a taste! Thank you for the recognition. We much enjoyed meeting you and are very proud to share our expression of Austria with wine lovers in the USA! Welcome to our wine circus!